When it launches later this year, Apple is reportedly planning to make the water and dust resistance of the "iPhone 8" even better than the iPhone 7, upgrading it to an IP68 rating. The change should allow the device to stay submerged at 1.5 meters (4.92 feet) for 30 minutes, The Korea Herald said, citing several sources. The iPhone 7 and most other smartphone carry an IP67 rating, which limits them to 1 meter (3.28 feet) for the same duration. While a small difference, the only shipping phone with an IP68 rating is the Samsung Galaxy S7, which launched in early 2016. 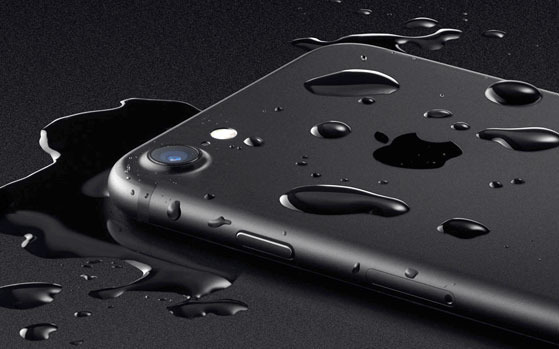 If they're water-resistant at all, smartphones typically share the iPhone 7's IP67 status. Samsung is allegedly considering water resisance for many more phones, even its low-end J series. LG should soon have protected phones as well in the form of the mid-tier XCalibur and the flagship G6. The XCalibur, at least, will be an IP68 device. Both Apple and Samsung are said to be using waterproof tapes instead of adhesives, since it makes repairs simpler. Apple has had some form of water resistance in iPhones since the 6s, but the iPhone 7 was the first device to be officially certified. The "iPhone 8" is expected to break from recent Apple designs and return to a "glass sandwich" construction, with a glass back and a stainless steel band around the middle. The centerpiece of the hardware should be a curved, Samsung-built OLED display, though it may also have features like wireless charging and a screen-integrated home button.